We love to eat good food as much as we love to share it with our readers. Maybe it could inspire you or maybe it just made you drool over your screen. 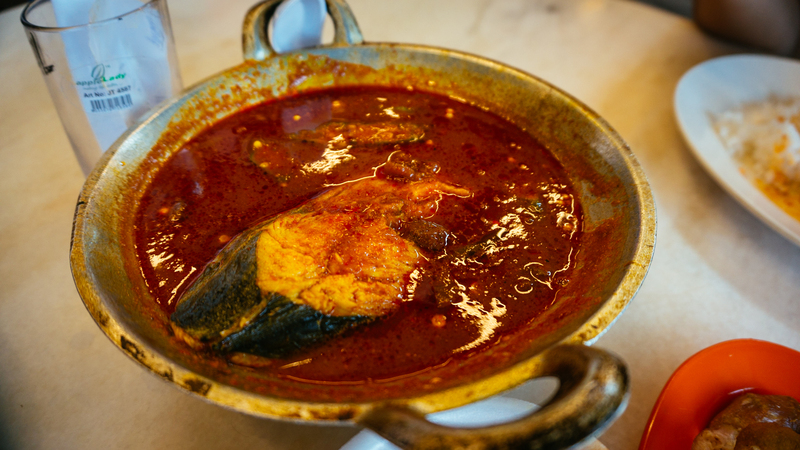 Anyway, Malacca is famous for their Peranakan Culture which comes with the mouthwatering culinary experience. 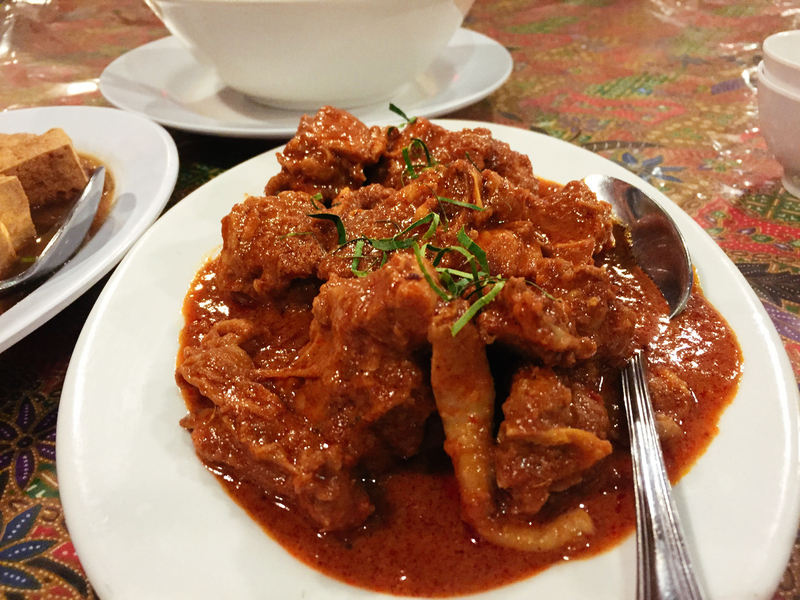 I haven’t even started talking about the amazing Malay food in general. 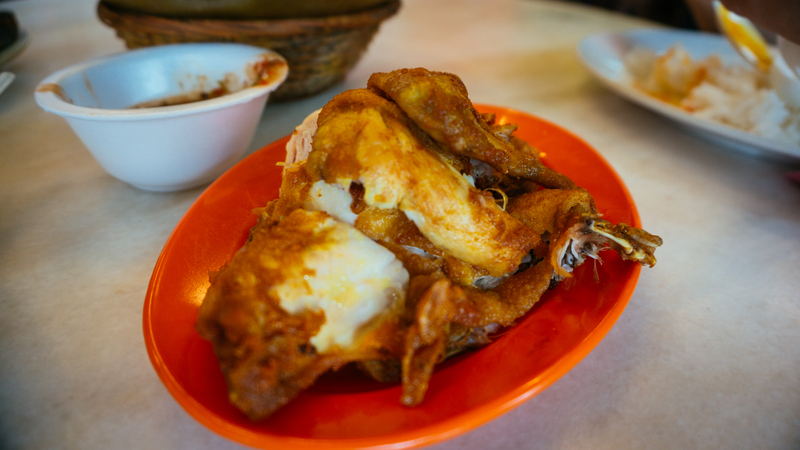 Anyway, this is our Malacca culinary jounal, noms! 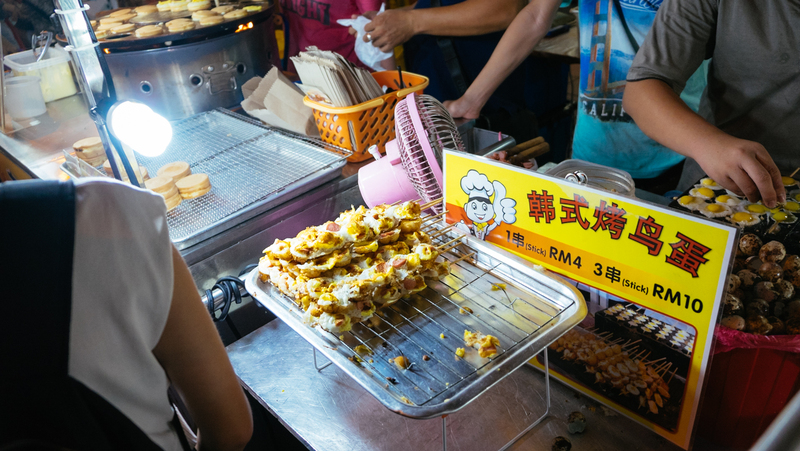 If you haven’t read about our Melaka Travel Journal then you should check them out and come back here. Having an early morning flight means we have to skip breakfast most of the time. 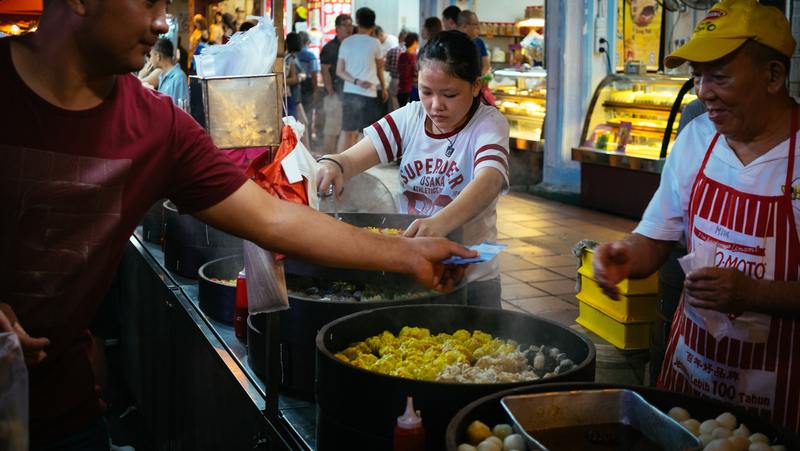 So fast forward to our first lunch in Melaka, we didn’t venture out too far from our hotel as we were getting “hangry” and went to the nearest food court. The Shore is a shopping mall just across our hotel which was the 7 Days Premium Melaka. 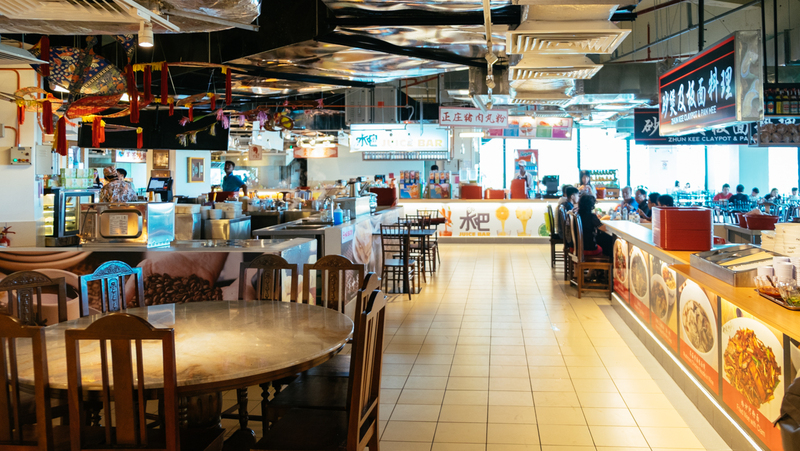 We went to their food court which was Lot 10 Hutong Food Court. 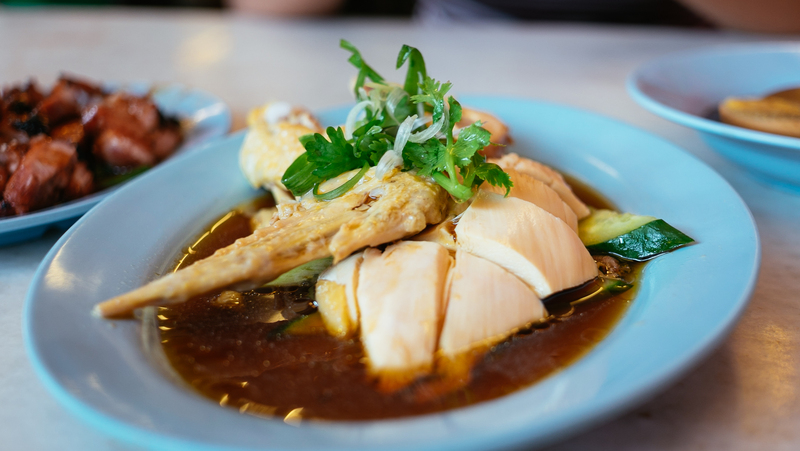 They claimed to be “Malaysia Comfort Food Village” which offers authentic Chinese hawker food in a modern presentation. I’m not sure how true that statement is but the place certainly looks authentic enough. 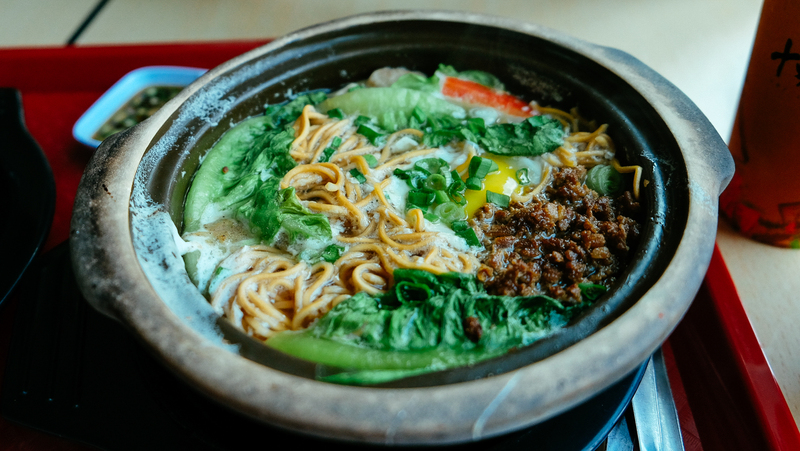 We went for the clay pots foods from the Zhun Kee Claypot rice and Pan Mee. 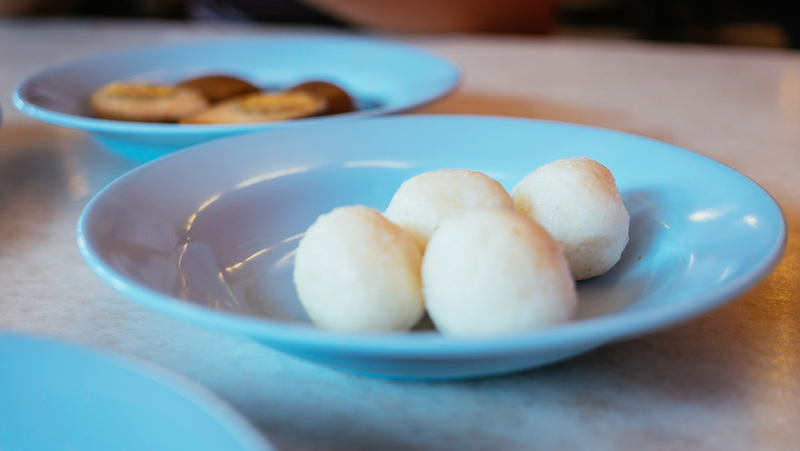 Unfortunately, these weren’t the star of the show, the star was the Siew Pau (baked bun) from Seremban Siew Pow. If you ever had steamed bun filled with Char Siu and knows how good that is, imagine that baked with crispy outer and twice the goodness. I would kill for another one of those right now. JK! For dessert, we got Durian Pancake which just mediocre. In total, we spent RM 43.90. Not too bad considering the amount of food that we get. I would definitely recommend eating here, some good food, some okay, and nicely decorated place. But if you are not eating pork, they also have another food court in the mall serving only halal food. 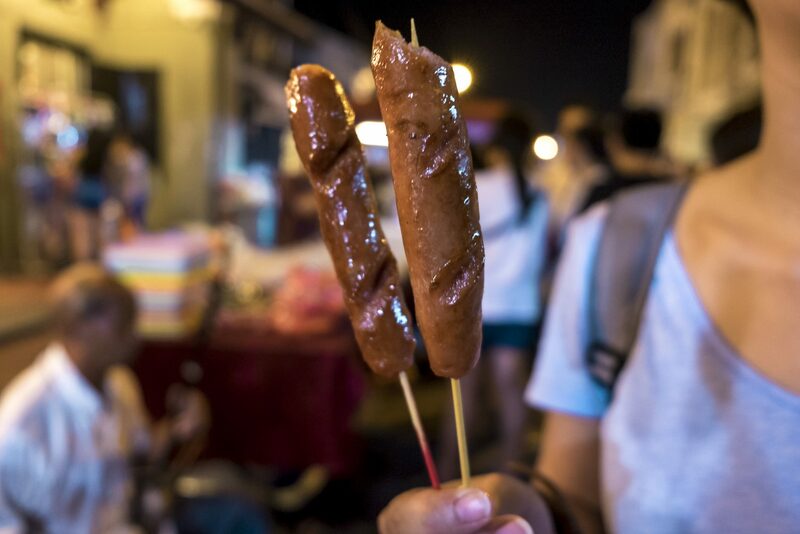 Jonker Night Market Street Snacks! 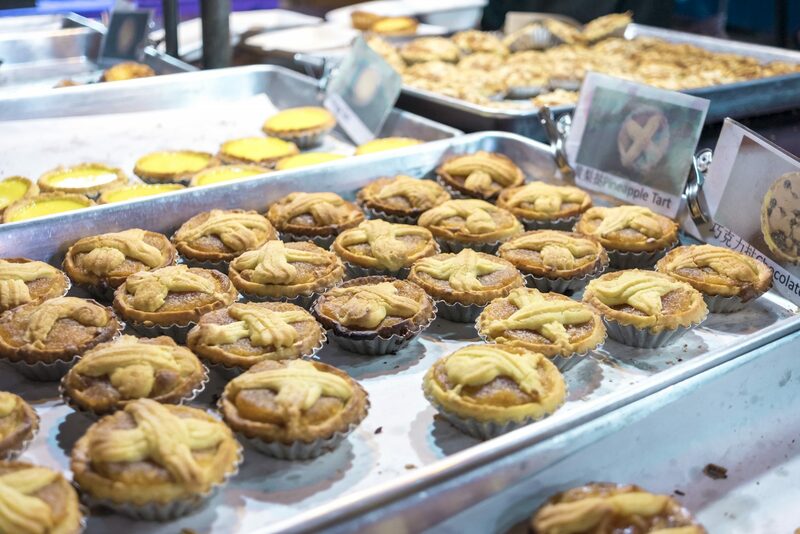 Let me tell you, going to a night market with an empty stomach is a bad idea. 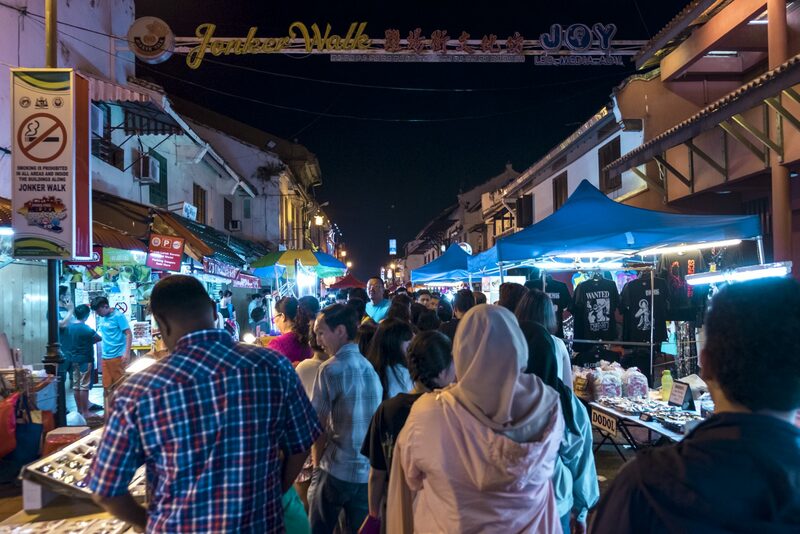 The night market is a trap for your buck and Jonker Night Market is not an exemption. 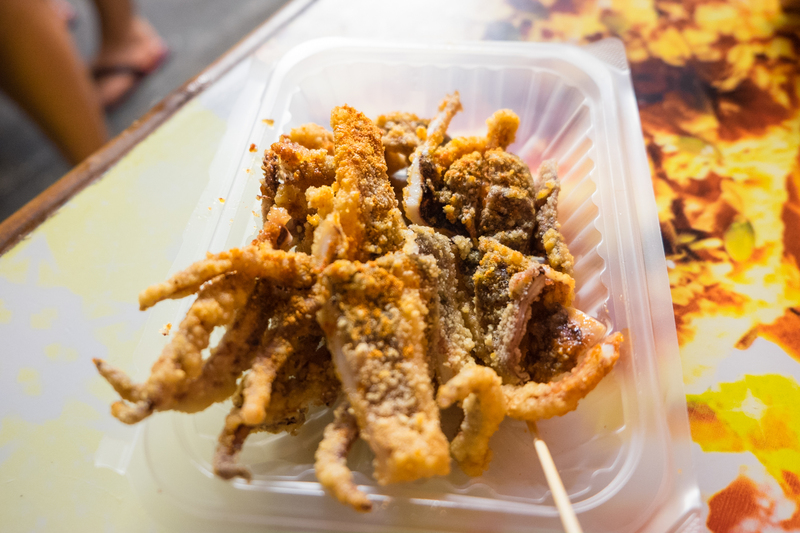 “Let’s buy some snack to eat along the way!” A couple of meters later, “that looks good!” Five minutes later with plastic bags in both hands, “we still have space, let’s buy that fried squid!” And the cycle keeps on going.. I am not really complaining tho because that the essential when going to a night market, isn’t? Walking in a leisurely matter and munching along the way. But it definitely cost us more than if we have a proper sit-down meal. The whole snacking things cost us around RM 80.00! Yeah I know, that guilty feeling did strike us afterward. D*mn. While going along the street, we felt like we still need to have a proper sit-down meal even tho we were almost full from all the snacks. So we stopped by this restaurant which located just beside the street. It was crowded but luckily we found us a table right away. There were a bunch of stalls inside the place. We have to order our self to each stall, pay, and they will deliver the food to our table. It was like a mini food court, I would say. 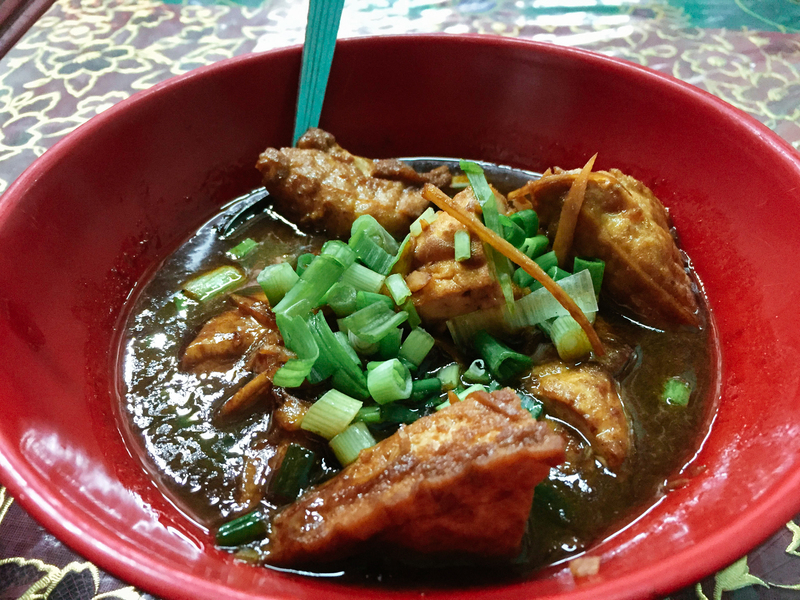 We ordered Asam Laksa and Fish Balls. Both are good but too bad that I was already full so I wasn’t able to fully really enjoy any of that. 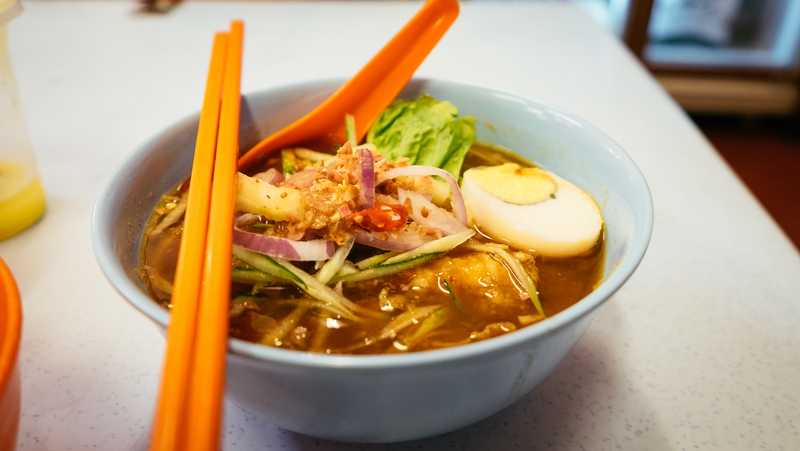 The Asam Laksa cost RM6.00 for the small portion. 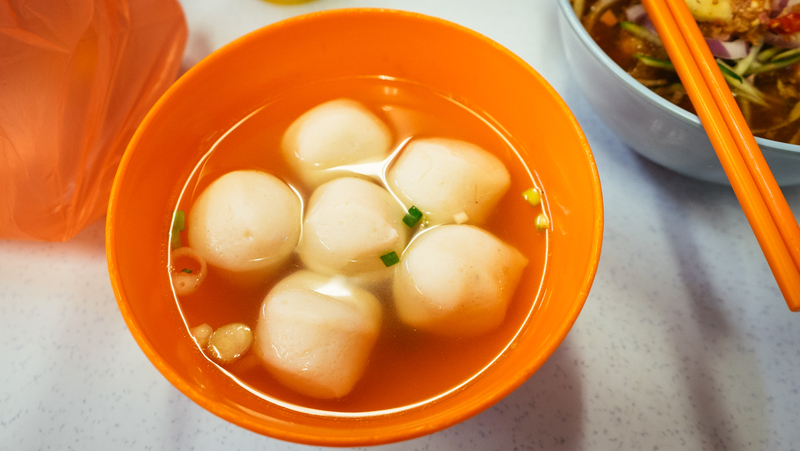 The Fish Balls Soup cost RM5.00 for 6 pcs of fish ball. I think this is one of the places that worth your money and time waiting for a table. 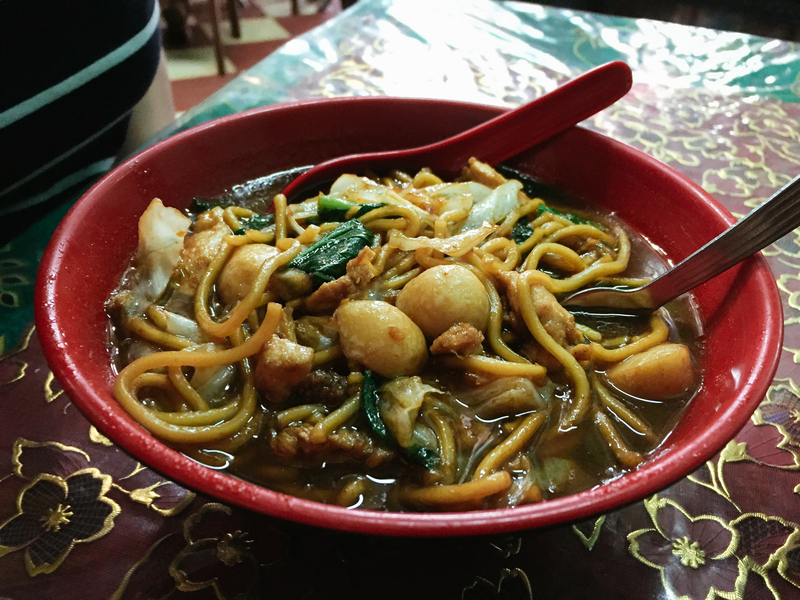 Considering they are located in the touristy Jonker Street, the food weren’t overpriced and still taste really good. 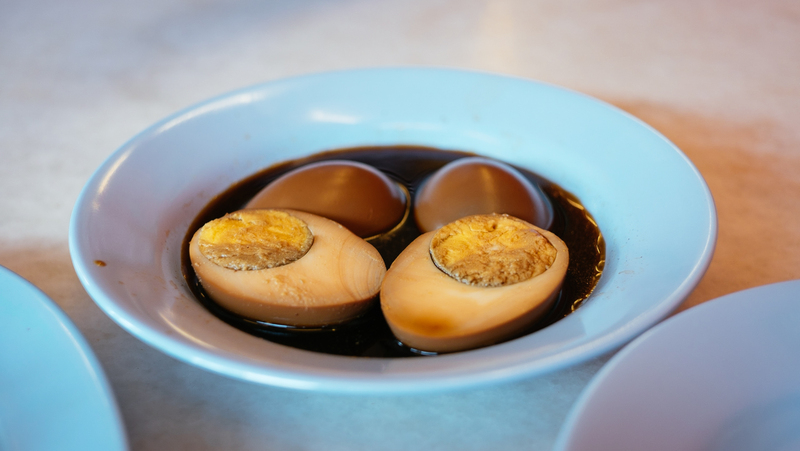 After the disappointing breakfast at the hotel (read our review of 7 Days Premium Melaka to know more! ), I’ll have to say that we didn’t start our day too well in terms of foodwise. But luckily, the lunch redeemed it all. We picked this restaurant just because there are a bunch of people lining which always a good sign. So they have a huge signage inside in Malay that tells people to find a table first before ordering food at the counter, not a new thing. 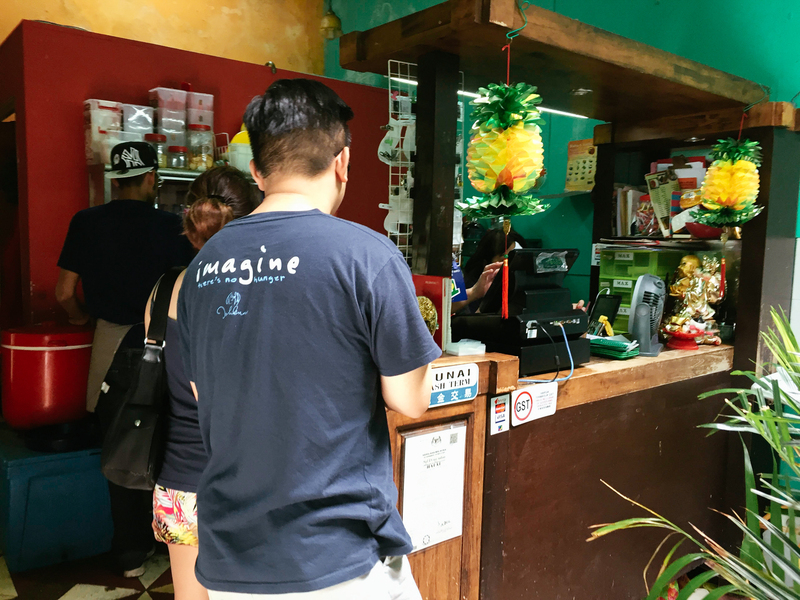 Their specialty is prawns, fish head, and Thai food. At least that’s what they have put in the signage outside. 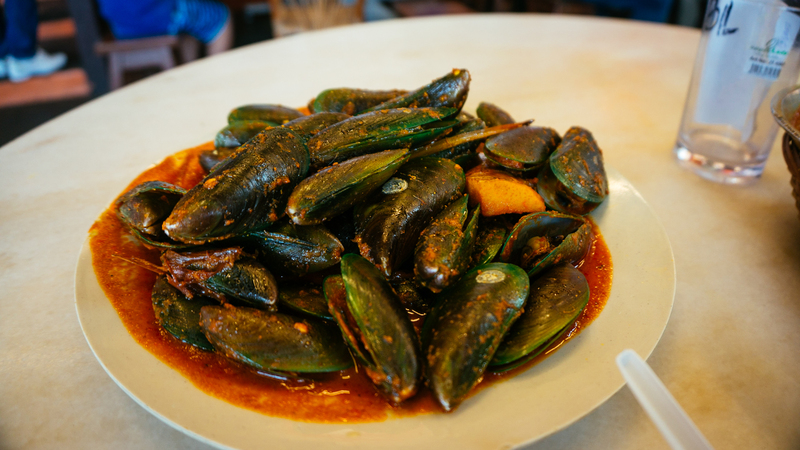 Well, with the name of Asam Pedas (sour and spicy in English) I will definitely have Thai food in mind. We ordered clams, fish, fried chicken, and fish eggs with sambal. As you can see from the thick oily fatty seasoning, it definitely packed a punch of flavor. 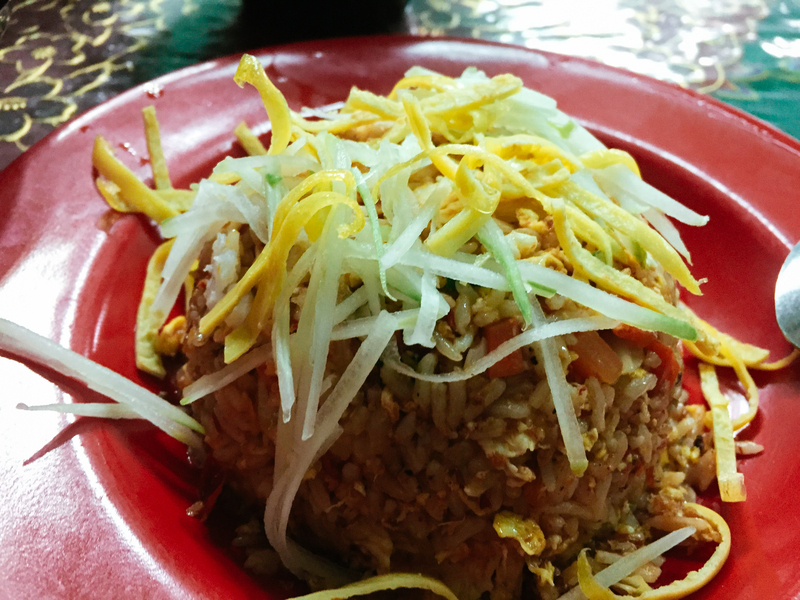 It’s savory, spicy, sour, just perfect! The meals cost us RM51.00, considering we were eating seafood I think it worth the price. The flavor definitely not for the faint-hearted! For dinner, again we found ourselves wandering around the Jonker area. 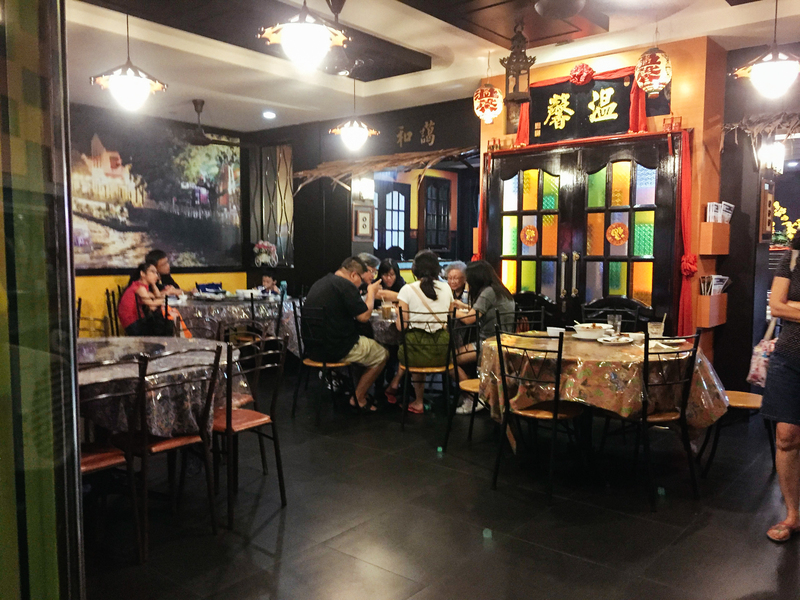 This restaurant was located not too far from the main road of Jonker. It looked authentic, like the typical homemade style restaurant. It looked like there was this 1 big family eating which occupied all the seats inside. So, we sit outside and wait our turned. Unfortunately, we should have seen that as a sign to move. We waited for almost 40 minutes and just told that they ran out of rice. They ran out rice, folks! That’s a big deal, in Asia you just don’t run out of rice. 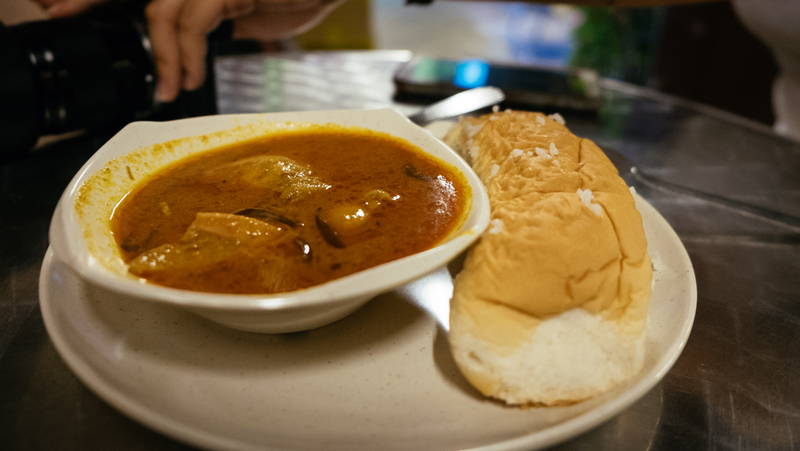 But they did ask us if we want our chicken curry to be served with bread, since we didn’t want to waste our 40 mins waiting then we said yes. We ordered curry and an iced drink which cost RM 13.40. But I did remember that the food didn’t sit too well in my stomach. 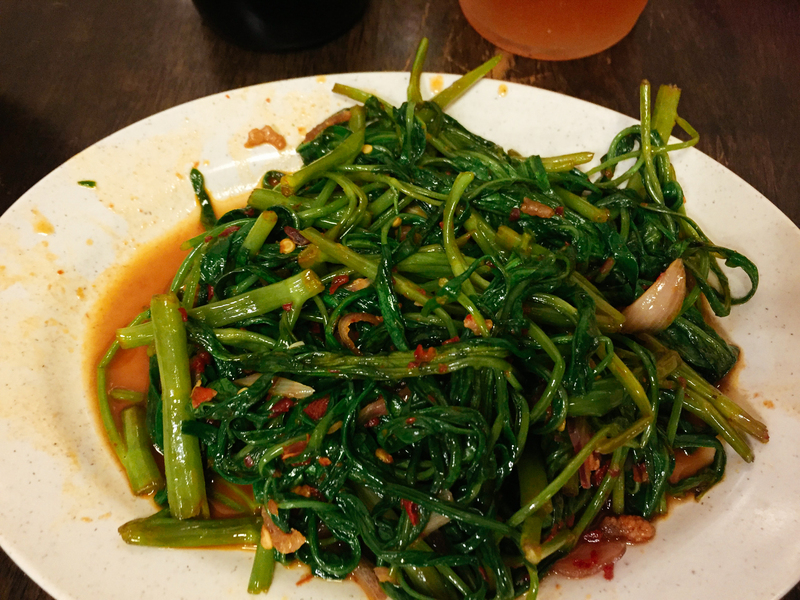 So overall, it wasn’t a good experience and I wouldn’t necessary recommend this restaurant. But again, it could be that we choice a wrong timing to come because I read a few review online which gave this place a nice review. Maybe it’s just our luck this time. Not satisfied with the food, we continue our journey searching for food. But unfortunately, we spend too much time waiting so by the time we went out almost all the restaurant starting to closing down already. 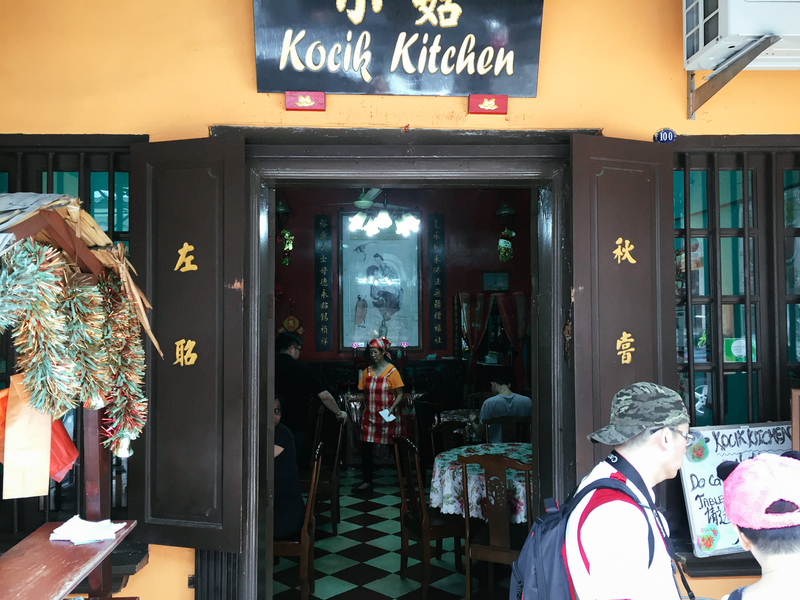 Until we found this place, we have passed this place multiple times as it was located just at the start of Jonker Street but never went in. But this is the only places that still open hence we didn’t really have much choice and just went in. Surprisingly, it was a really quick process of ordering the food. The staff there helped us find a table (which is rare for a local restaurant to do so) then they took our order with a smartphone! It is common nowadays but it was quite a surprise judging from the look of the place. 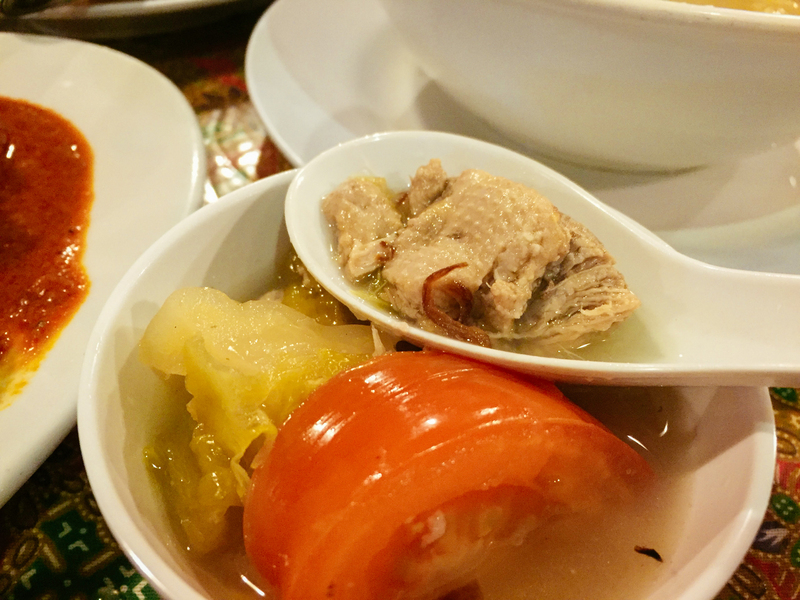 We ordered chicken, rice balls, fish balls soup, and a kangkong stirfry. It was good but I probably won’t have the rice in the balls form again. 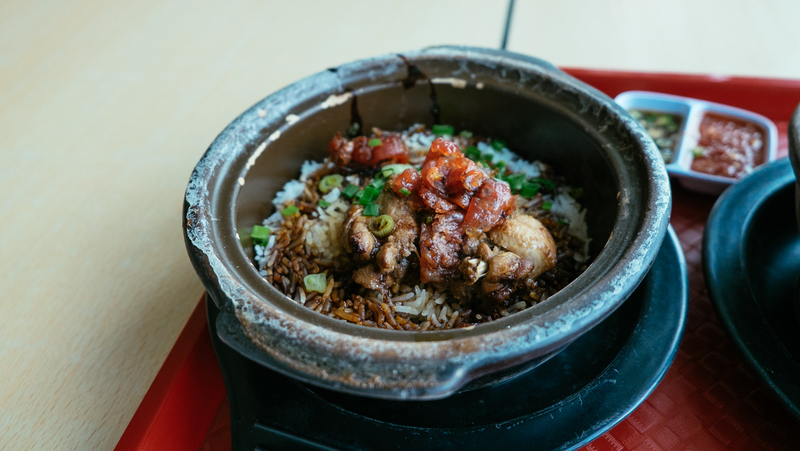 It basically the same Hainan rice so I would much prefer it in the normal form. But other than that, nothing to complain about the whole experience. RM 48.00 was what we paid for all the food. Since we were going for the 8.30am Sunday services in the famous Christ Church (a.k.a the Red Church), we need to passed our breakfast hotel. Which none of us mind about. After the services, they provide these snacks outside where people can eat while chit chatting. I am not sure if this is a weekly stuff but since this is a small community church this made me felt more like “home”. We were at the Chinatown area when it was lunch time. Didn’t want to fall into a tourist trap, we stay out a bit from the main road and stumble across this restaurant. There were just opening up when we came and already almost half of the tables were filled already with tourists mostly. The interior clearly screamed that this was a home-cooked restaurant already. 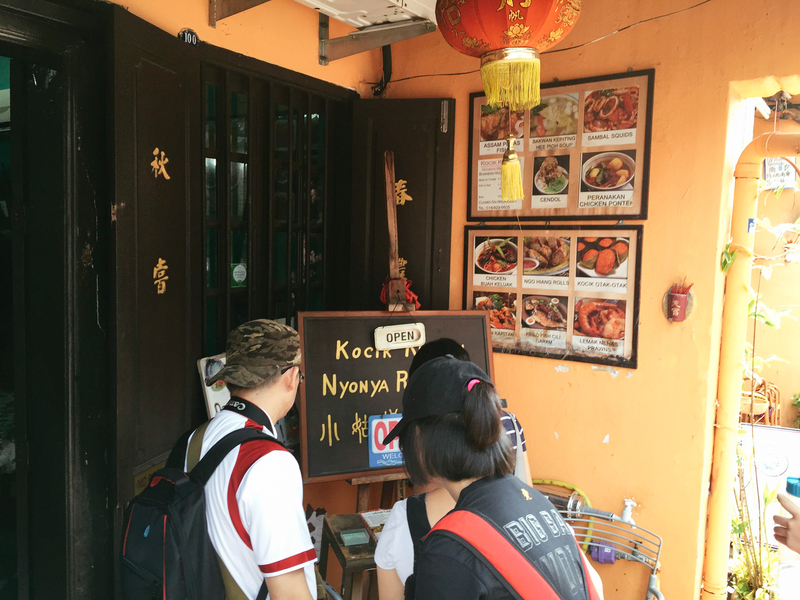 They served Nyonya food and they even provide the menu outside they restaurant. 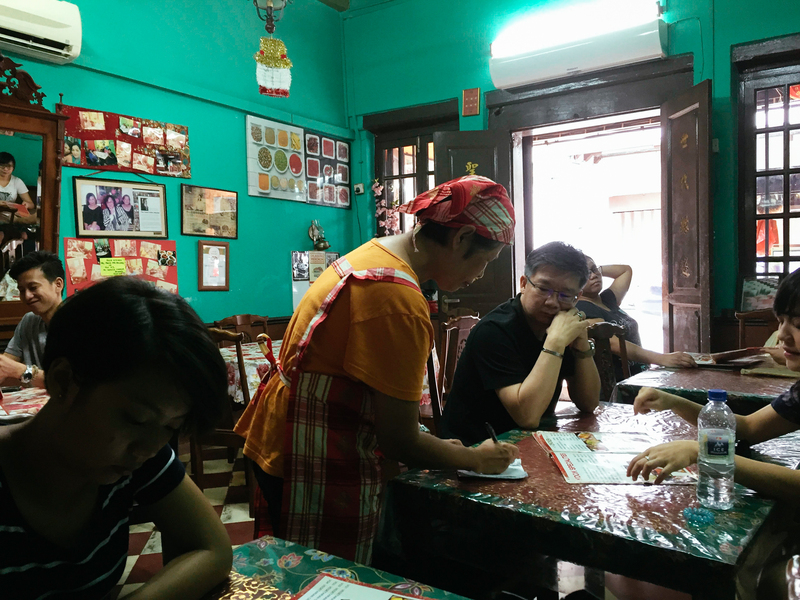 Fortunately, the menu was in English and the aunty serving us can speak English pretty well. The food was good and the portion was a perfect size, not too big and not too small. 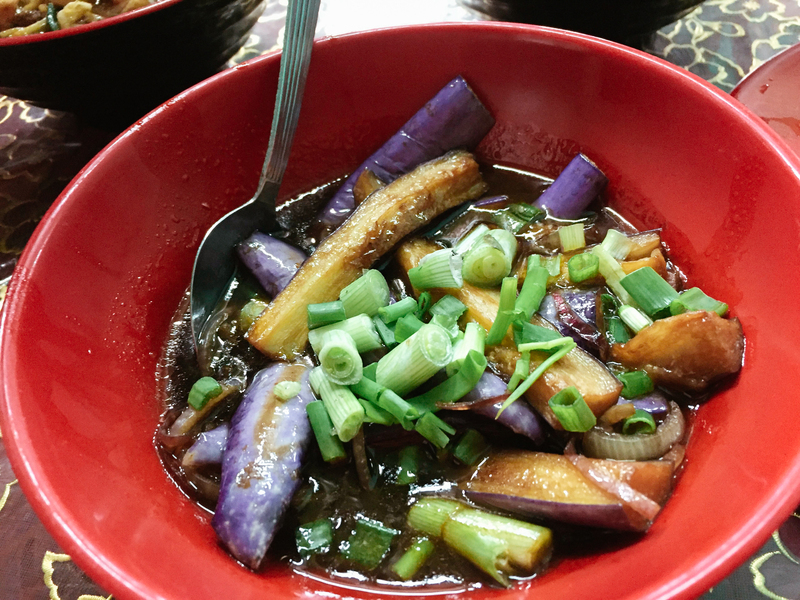 We ordered Hokkien Mee, Fried Rice, Tou foo, and Eggplant dishes which cost RM39.60. Now, this was one restaurant that I think worth going while you were there. Nice food, authentic place, reasonable price. 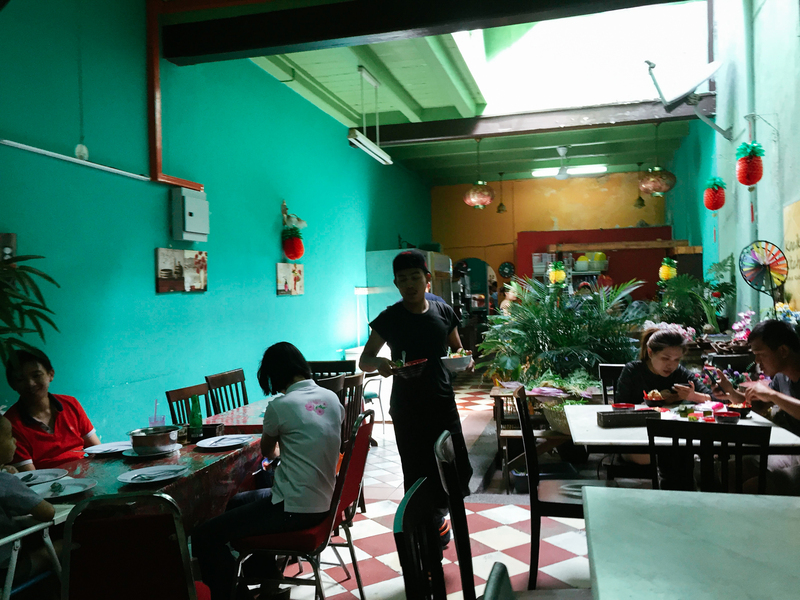 It’s like finding the right homestyle restaurant in the midst of tourist traps. Did I mention that Malacca is damn freaking hot? I probably did but just to make it clear, it is hot. So, a quick stop at Ochado was a must. 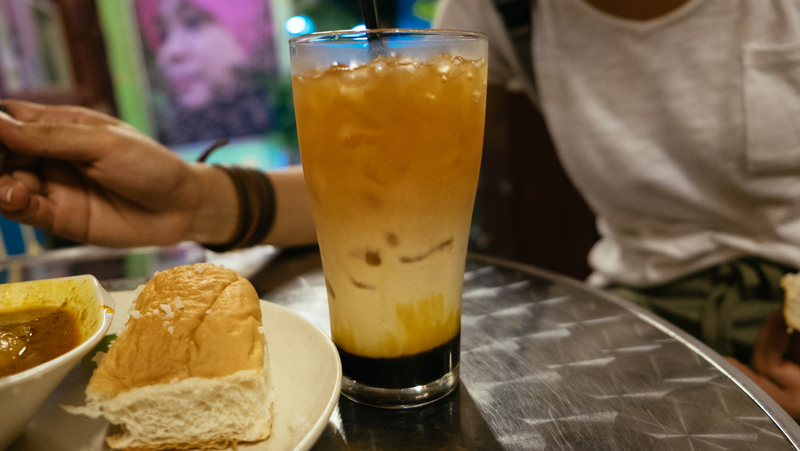 If you don’t know, Ochado is one of the well-known boba/bubble tea serving place. 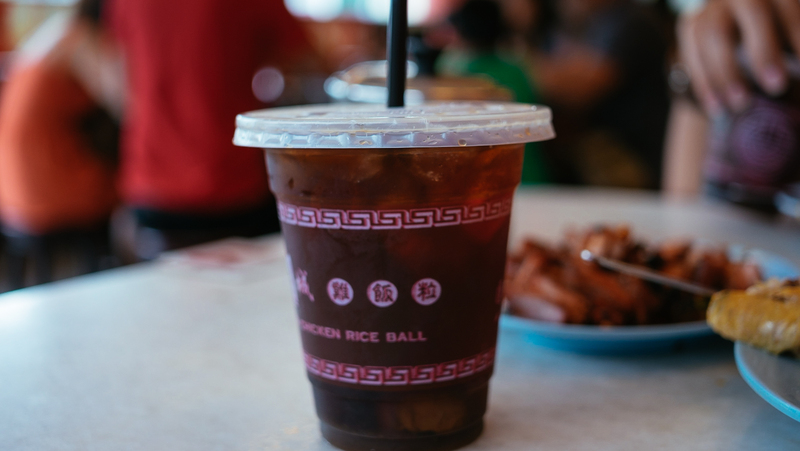 If you don’t know what boba is then you must have lived under a rock. 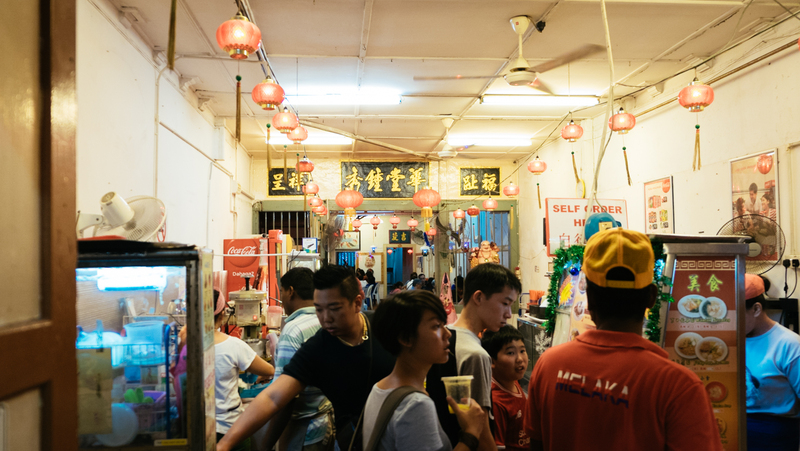 They have a really strategic place, in the beginning of the famous Jonker street. We couldn’t miss it even if we wanted to. 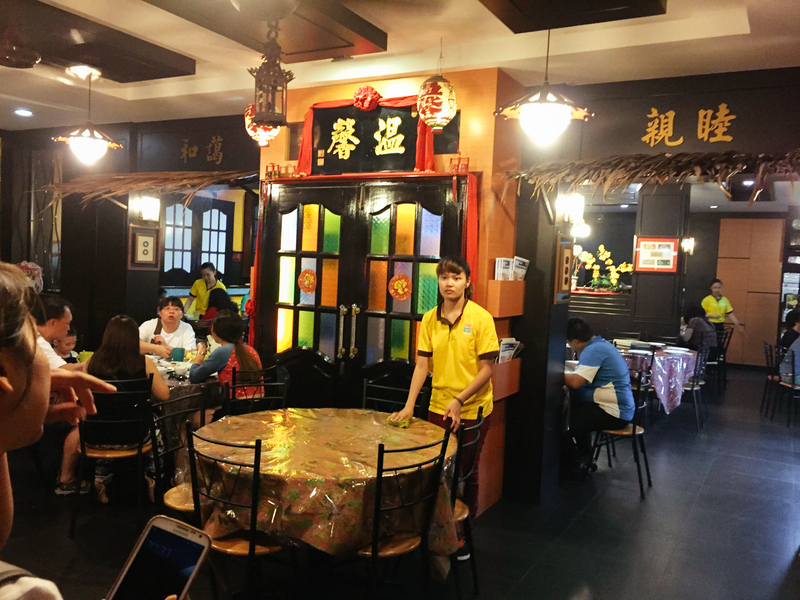 This restaurant was located around the more modern shopping area, with shopping malls and well-known brands around. 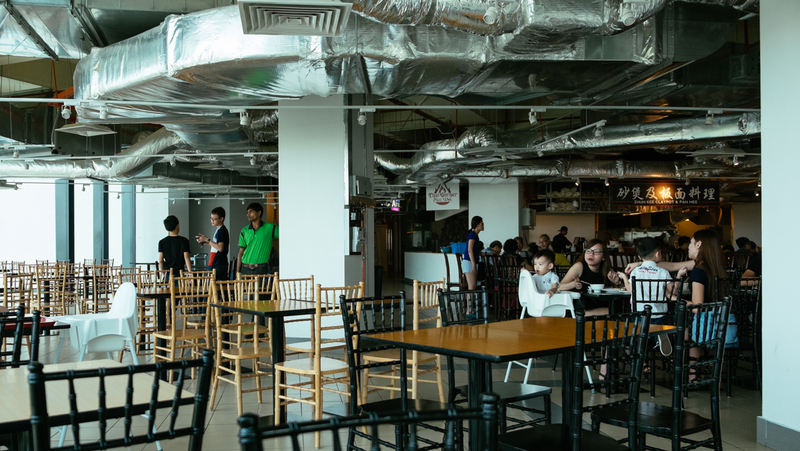 So, this was a modern restaurant, the types that you will find in shopping malls. 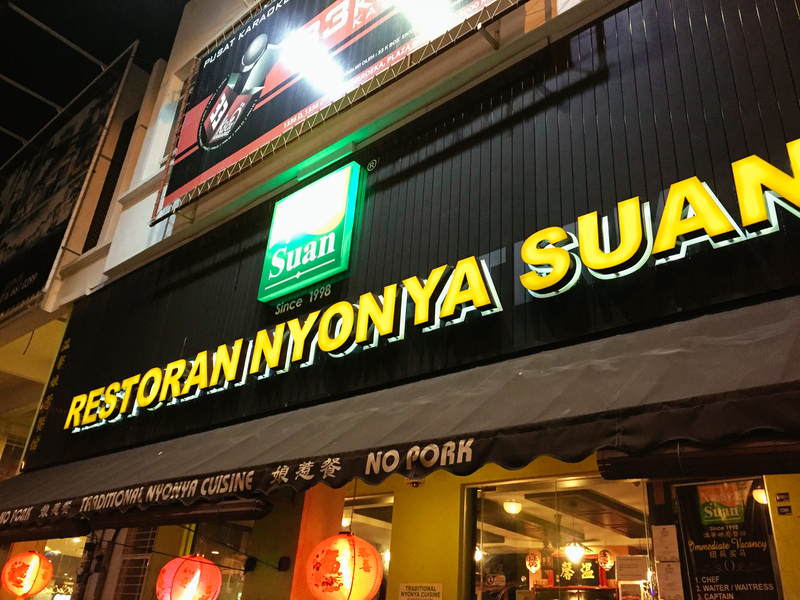 They also served Nyonya cuisine, a halal one but in a modern way. Also in a modern price. We ordered Ayam Rendang, Tao hoo Nyonya, Itik Tim Soup, Rice, Tea Tarik, and Barley drink which cost RM62.85. More pricey than if we were eating in a more “local” restaurant and the food also taste average. So, I probably wouldn’t go back here again tho. On our last day, we woke up pretty late so this was our brunch for that day. When we were searching for what place to eat in Malacca, this place pops out. 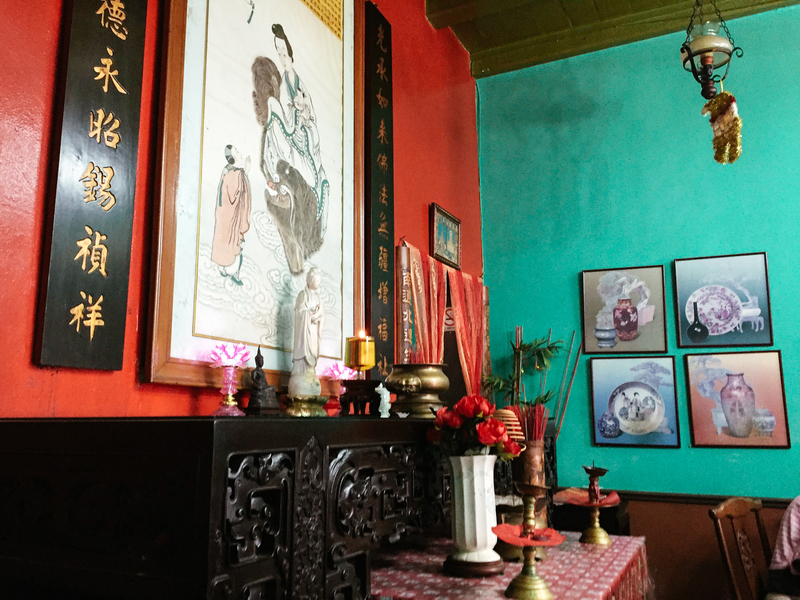 Originally opened in Jonker Street, now this restaurant has 4 branches all around Malacca. 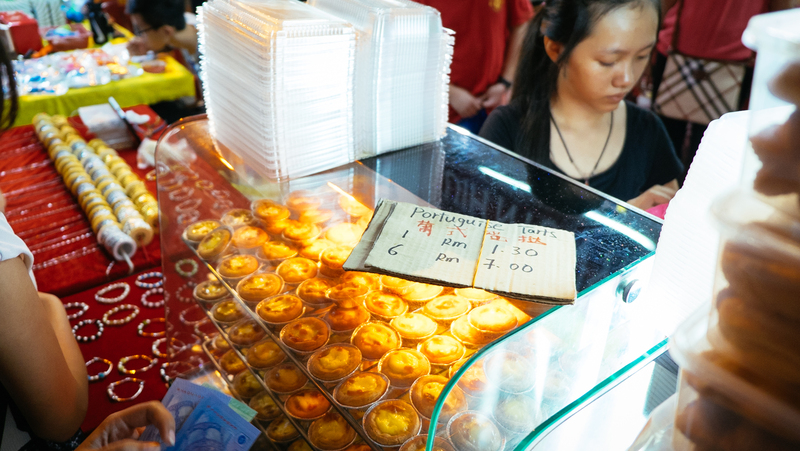 We went for the one at Jalan Bendahara. 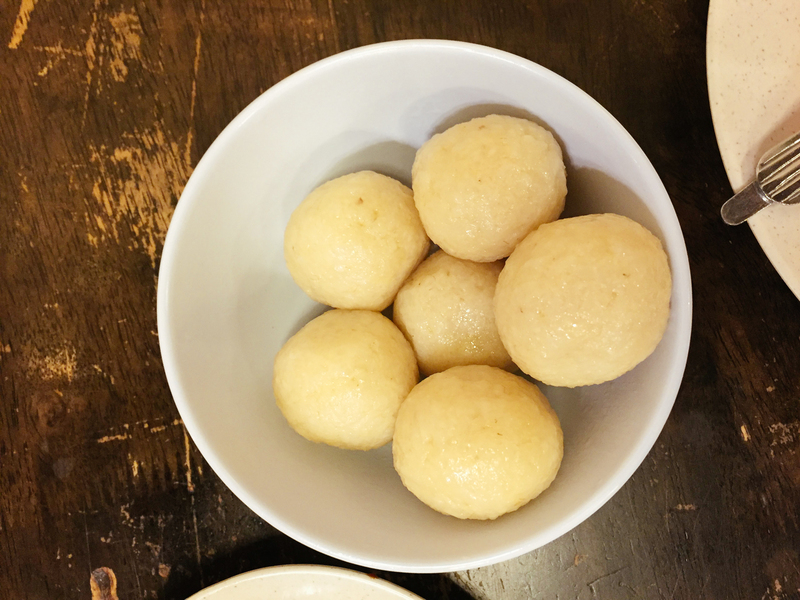 The Chicken and the rice ball itself taste mediocre, nothing mind-blowingly good. 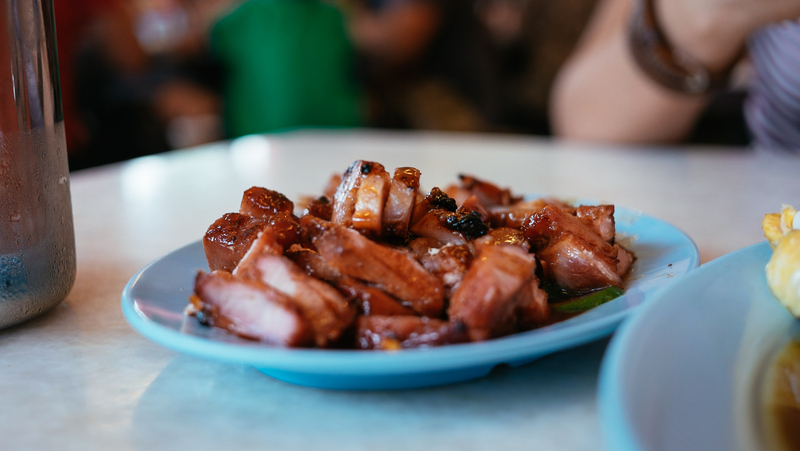 The pork taste even better than the chicken. Maybe it because we went to the branch’s restaurant, not the original one but for me, it was just an okay. We spent RM 34.15 which an okay price but we could definitely find a better one with that same price. 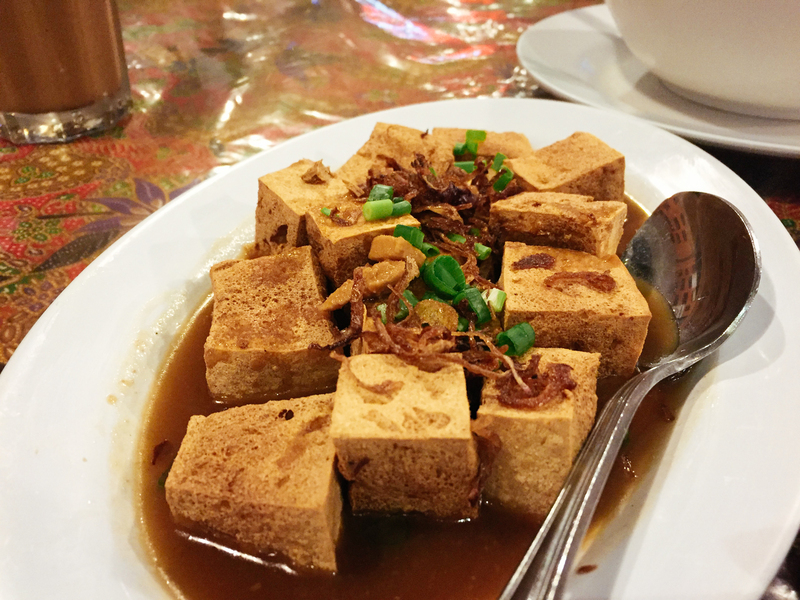 Try the Nyonya cuisine while you are there, it’s a must! 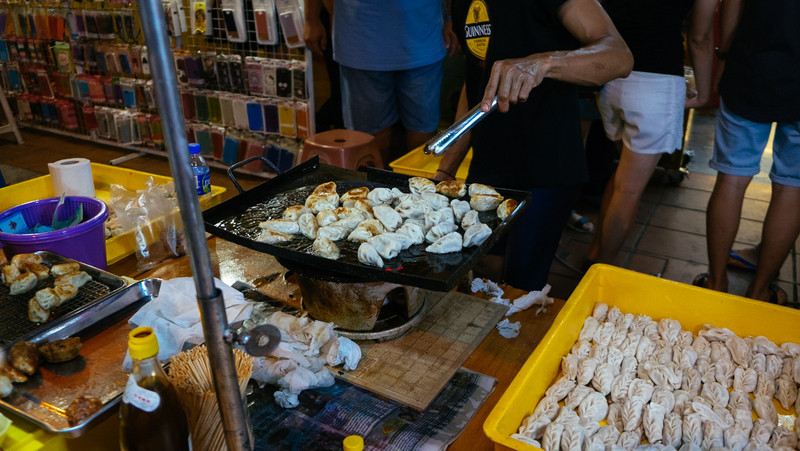 Venture out to the small alley and try the small home-cooked restaurants. 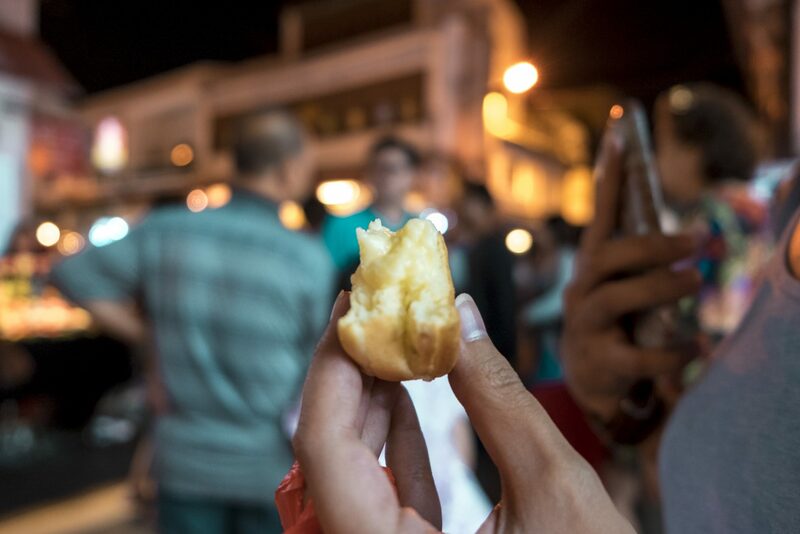 Also, as touristy as it sounds, try munching your way along the Jonker Street Night Market. The food might not be the best but the whole experience definitely is. We also didn’t get a chance to hang around the cafe overlooking the famous river, but you should. Hope this makes you hungry and until next post, ciao!